FOR EXAMPLE: If you have a current framed opening of 50" in width, the correct arch kit to order would be the 48" FINISHED size. 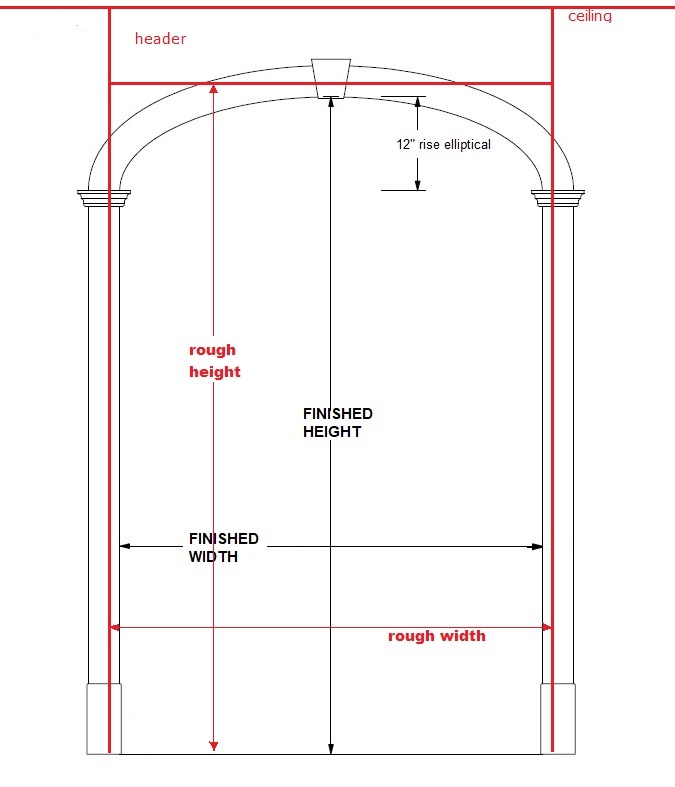 The same goes for the height: A FINISHED height arch of 92" would require a ROUGH framed height of 94". CALL OR EMAIL FOR MORE INFORMATION. WE'RE ALWAYS HAPPY TO ANSWER QUESTIONS.